The switch to the back three at the end of last season seemed to have finally solved Arsenal’s defensive worries as they won 7 out of their last 8 league games and won the FA cup. Just when everybody thought Arsene Wenger had finally understood the perfect way to get the best out of this team, they conceded 3 goals in their first game this season against Leicester, lost to Stoke as usual and were walloped by Liverpool at Anfield. Add to the mix a shambolic transfer window where key shortcomings in the squad were not addressed, Arsenal already find themselves in crisis and we are just three games into the season. Arsene Wenger switched to a back 4 in the second half against Liverpool but they simply couldn’t stop the swathes of red rampaging towards their goal. But at least, Wenger seems to have realised that at the moment he neither has the right personnel nor do his players understand the system well enough to continue playing with the back three. The trend of the back 3 was of course started by Antonio Conte after ironically they lost to Arsenal at beginning of last season. Wenger soon followed the trend as Spurs and Manchester City also switched to the back three last season. Compared to Conte’s Chelsea squad, Wenger simply doesn’t have the right fit of players at his disposal to play the back three formation. First and foremost, Arsenal do not have three high quality centerbacks to play the formation. Last season, Wenger managed to fit in Nacho Monreal in the back three and Pep Mertesacker made a miraculous comeback from a long injury for the FA Cup final victory. But at the moment, except for Laurent Koscielny, Arsenal do not have a quality center back, forget having two more. Sead Kolasinac looks like a Premier League center back but in fact is a left back. Over on the right, Bellerin’s form has been sketchy but he has the potential to be a quality right wing back. Wenger’s biggest problem at the moment is in central midfield where Arsenal were repeatedly exposed against Liverpool. With the front three high up the pitch, the two central midfielders play a crucial role in maintaining the team structure and organisation. Both Kante and Nemanja Matic understood their roles perfectly last season for Chelsea and rarely did they venture forward especially in the big games. It is very clear that Aaron Ramsey is not suited to this role and where as Granit Xhaka has the ability to play in a deep role, he needs the right personnel beside him. There were no defensive midfielders linked to Arsenal even in the rumour sections of some of the worst tabloids. For some reason, Wenger refuses to acknowledge the big gaping hole in the center of the park and this is hurting Arsenal. Further ahead, a front three of Alexis Sanchez, Mesut Ozil and Alexander Lacazette can actually fit in very well in a 3-4-3. But with the rest of the team looking lost and not managing to have any defensive control effects the impact they can have going forward. With the players, Wenger has at his disposal, the 4-3-3 might be a better option for Arsenal at the moment. A 3 man midfield will give stability at the center of the park and may get the best out of both Granit Xhaka and Aaron Ramsey. The Welshman especially needs to be given a more free role which allows him to get into the opposition box more often than not. Laurent Koscielny can partner with either Mustafi or Mertsacker allowing Monreal to return to his natural position as a left back. 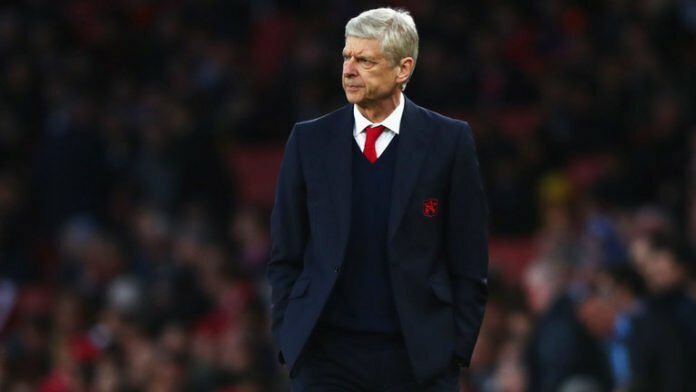 Going back to the basics might be the best option for Wenger to come out of this crisis, the 4-3-3 will allow him to do the same.